A few hours early but hoping George has a lovely birthday with his family. First bd with Ella and Alexander. Very special! Cheers George. I’ll have a Casamigos on the rocks in honor of his special day! I thought this was sweet. I can only imagine how fulfilled he feels having Amal and two beautiful children in his life at the young age of 57 ...... Happy but probably exhausted. Happy Birthday George hope it's a great one. I know this one will be very special with your two little one's and your wife. Happy birthday George! The first one with wife and kids, and may this be the first of many! Hope the hangover isn't too bad on Monday . . . Happy Birthday to a guy with a heart like none other. I know your day will be spent with family and good friends. Love extends just a heart beat away. You are in my thoughts, have a wonderful Birthday. HAPPY HAPPY 57th BIRTHDAY TO OUR GEORGE. Hope it's a Good Day with Family and Friends. I really like George's new sunglasses. I knew there was something strange about this picture. A "pair" were swapped out for another pair. I just knew it!!! By the way... where are they? It's a gray, chilly day here. I hope the weather didn't put a damper on any birthday plans and I hope George is having a wonderful day with friends and family celebrating with him.. Happy Birthday George ! Donnamarie wrote: A few hours early but hoping George has a lovely birthday with his family. First bd with Ella and Alexander. Very special! Why? Is it because it's HIS birthday and Parade focused on HER? Or is it because they're supposed to be here in NY but the Casamigos Instagram looks like LA and the photo with Rande looks like either Como or Cabo? Or is it just because it's Sunday? The Instagram mistery is solved, it's definitely an old video. But the pic posted by Rande... They're for sure in NY, as you can see from Cindy's stories.. Yes they are all in New York , Cindy and Rande are here and so is Kia she did some modeling this weekend. 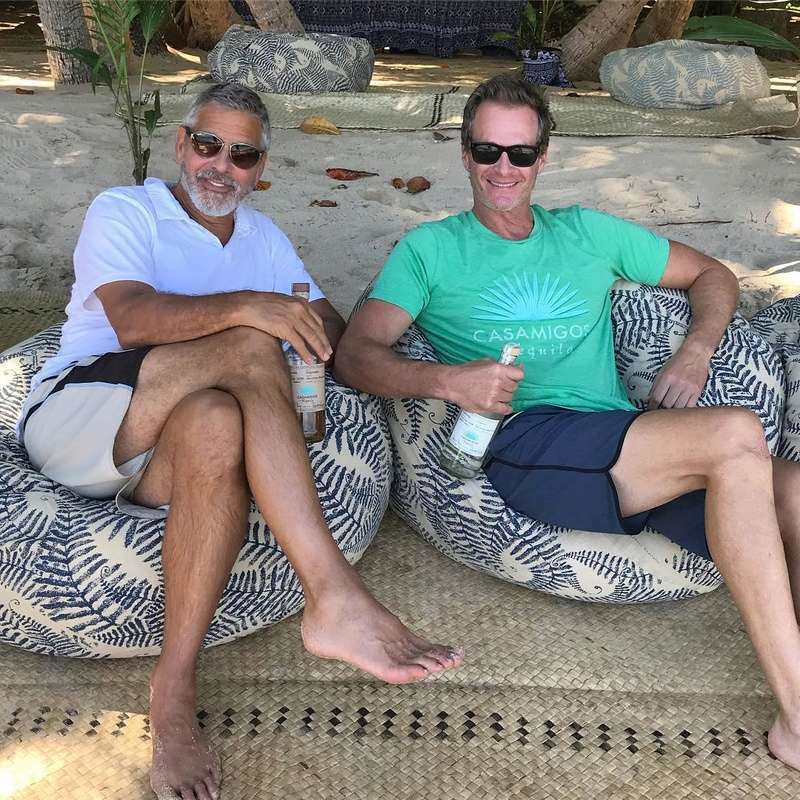 WWHS - Just how much Casamigos did you drink toasting George's birthday? Happy Birthday to our George !!! Mmmmm cake. Birthday cake with family . Great pix. Thank you Lilia. Guys, if we have pictures of George celebrating his birthday, can we please start a new thread? The rest of George looks really good but just had to say those are some nice looking legs!